The first David refers to a search engine “David” named Cuil, who is looking to slay (or maybe even just stub the toe of) a “Goliath” named Google. Now I understand from subsequent readings about the Cuil search engine, the name (pronounced “cool”â€¦I think) is the Gaelic version of the word “cool”. That’s a good start, said the Irishman. Design wise, I like the look. Absolute contrast to the look of its competitor. Good differentiation. Black is the new black. Usefulness wise, after going offline its first day because I guess it couldn’t handle the traffic and seeing that some of its searches on me and mine (oh stop it, you do the same thing, I’m just ballsy enough to admit it) were less than accurate, Cuil’s got some kinks to work out. Let’s not squash this David yet and instead assume that its projectile has not yet hit its target but rather has been lobbed in its general direction. The second David is of the voiceover kind and more and more of the internet, gadget, “boys and their electronic toys” kind. I speak of one David (Dave) Courvoisier. He too is cuil in the kind of rich and confident voice, tall and good looking, respects the women and makes the women drool over him way which short, fat, middle aged guys like me find annoying because we were hoping that after high school and certainly after college women would stop ignoring us so we could at least speak to them to show them we respect them too and yet we still get ignored by women but we’re coming to terms with it after years of therapy so we’re cool too, don’t you think? Besides Dave’s a good guy to boot so guys like him too. Just not, you know, in the, um, drooly way the women do. But back to the techie part of his personality. If you’ve subscribed to his blog at all (and you should cause he writes almost every day) you’ll note his developing fondness for gadgets and the internet. And ever the newsman, did our boy ever scoop the big guns. So step back Robert Scoble and back off Michael Arrington because you jokers did not introduce me to Cuil as is your Prime Directive (a little Borg-Star Trek reference there, geek alert, ah, never mind). You are the Goliaths that David of Las Vegas hath slayed. Dave Courvoisier was the first to introduce me to Cuil on his blog. Direct hit, right to the center of the noggin, dropping those two techies right on their interneted petards. Sadly, this prize comes only with bragging rights for Las Vegas Dave, not even a free breakfast at Denny’s. Come to think of, that’s really not much of a prize anyway. great graphic or great ad? Please take a moment and double click on the graphic attached to this post. Enjoy the imagery, the creativity and the artistry of something well designed. Then answer this question: is it a great ad? When I first saw this on the Graphic Design and Web Design Blog I was really blown away b y the design. Simple, artistic and tells a great story. Brilliant, I thought. 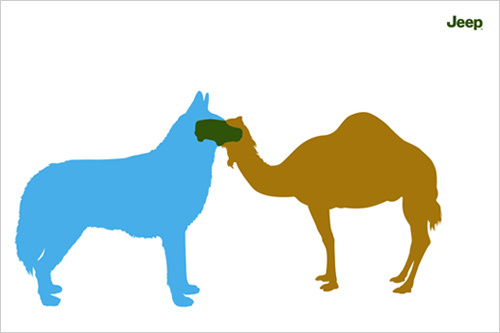 But then I realized that I had seen the graphic by itself, alone, on a blog. Not in a magazine or a newspaper surrounded by lots of other ads in the way most ads (save for full page ads) are viewed. 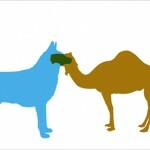 In the same we all either view – or ignore – ads on a regular basis. Can this ad stand out in the competition? If not, can it still be a great ad? Whether it was just another excuse for a party (which I am totally on board with) or a very clever way to garner publicity (a practice to which I also subscribe) the folks at the audio-book department at Hachette now have my undivided attention and respect. 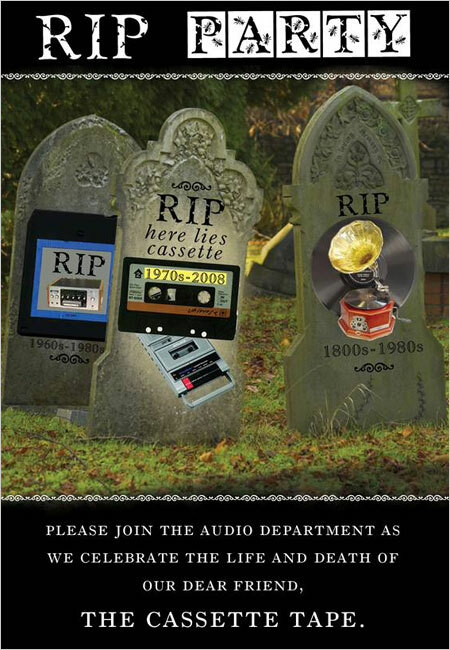 It was reported in our little downstate paper that Hachette Audio a division of Hachette Book Group USA held a party or more apropos a wake for the cassette tape. 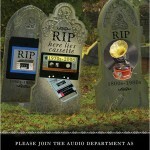 A wake for the cassette tape. The premise of course is that the cassette tape was long the staple of the audio book industry. Technology today has evolved to compact discs and MP3 files for audio books and other media to the point where you’d be hard pressed to find a cassette player in many households like there used to be. I love the simplicity of the idea, its creativity and the ease of implementation. Whether it was just for the party or for the publicity I care not. I like the way they think so now I want to be a voice talent working with the party animals at Hachette’s audio-book department. 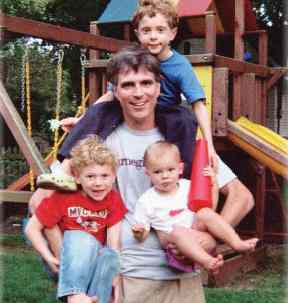 Say a prayer for the soul of Randy Pausch and for his family upon the news of his passing overnight from pancreatic cancer. I only knew the man through his last “Last Lecture” video and this abbreviated presentation from Oprah. Yet I am still so distressed by his loss. At least we can say – he got it right. Common sense has never reigned supreme in the corridors of Washington, D.C. because playing protectionism politics is always more fun. And then there’s the option of making something out of nothing. The folks over at the Federal Communications Commission have proven themselves devoted practitioners of both games. 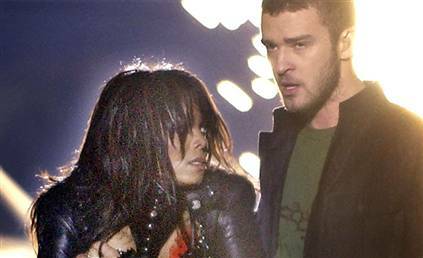 All because of a couple of radio networks and Janet Jackson’s boobie. Let’s just pause for a moment because I never thought I’d have to write that word (and I can only hope I spelled it right). On February 19, 2007 satellite radio company competitors XM and Sirius announced their intention to merge. The marketplace does not need (at this juncture anyway) two services. There is barely enough audience for one to survive. The FCC usually takes about 180 days to review such a motion and render its decision. Today, it’s rumored that a commissioner will cast the deciding yes vote to approve the mergerâ€¦maybe. It’s been over a year since their review started and it’s not done. The National Association of Broadcasters are wetting their pants in fear of the merger and lobbying like heck. Senators and Congressmen who are just now discovering the FM radio band continue to offer their opinion on why it should or should not go through. By the way, you are paying for all this grandstanding. You sitting there readingâ€¦you personally paid for all this baloney. I’m not naÃ¯ve to the fact that there are important legal issues at stake in such a merger but that’s what the six month review time is for. The FCC is teeming with lawyers who should have been able to review the pros and cons, bring it to the commissioners, let them review and voteâ€¦.in the allotted time. No matter what happens with the merger (which I think should be approved) the Federal Communications Commission failed to execute its duties in a timely, professional manner. Maybe it was a corset, a tank top or some other thing that I also don’t understand. The point is that it came off during the Super Bowl’s halftime show and was visible to one of the largest TV audiences of the year (including children) for (according to court documents) “nine-sixteenths of one second.” And as far as how close up the shot was on television, maybe 1/16 of the screen. Now, if you are like me you probably saw the “incident” on You Tube (no I’m not giving you the link…if you need it that bad you go find it yourself) or some such thing and it seemed longerâ€¦well that’s what slo-mo instant replay on a loop can do to your memory. Whether it was a planned mistake by the performers (asking for forgiveness instead of permission) or a performance mistake it was a mistake. I’m a pretty conservative guy on most things but to me it was much ado about nothing. It was the constant replays on the web and on news shows that made it a story and then an issue and then the FCC got involved and botched the whole thing. Government inquires, depositions, testimony, committee meetings all to fine CBS $500,000. And a Federal Appeals Court just slapped the FCC upside the head, throwing out the fine saying the FCC didn’t follow its own rules properly so their fine was illegal. Do you want to guess how much money was spent by you and I, our tax dollars from our earnings, on deciding on that fine and then getting it over turned? I don’t know but my low estimate is about 5x the fine amount when you work in the salaries and legal fees. It seems the FCC is hapless and we as its bankers are helpless. I don’t like that, do you? In the marketing side of my professional life, ProductCamp sound like a very interesting concept focused on Product Marketing and Management topics. In otherwords, talking about concepting and making all the stuff you’ll likely buy on store shelves from toothpaste to hammers to clothing to computers. Check out their wiki and see what develops.